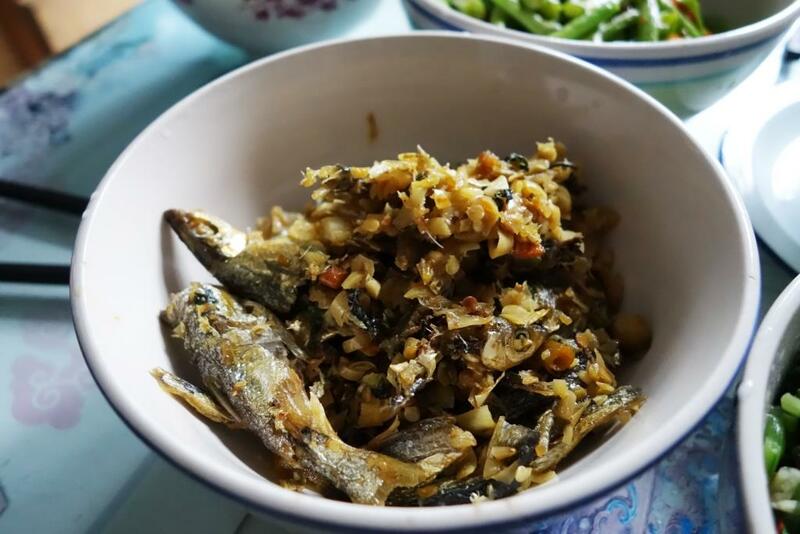 Qing LaJiao – Green Chilli. Hong LaJiao – Red Chilli. Even if the labels aren’t the best (especially if you’re looking to gain knowledge about local varieties of the peppers), they are understandable enough – as long as you speak that much Chinese. Chilli tends to be green when unripe and red when ripe, after all; and it tends to be used (and labeled) in such a simple way wherever it’s eaten. 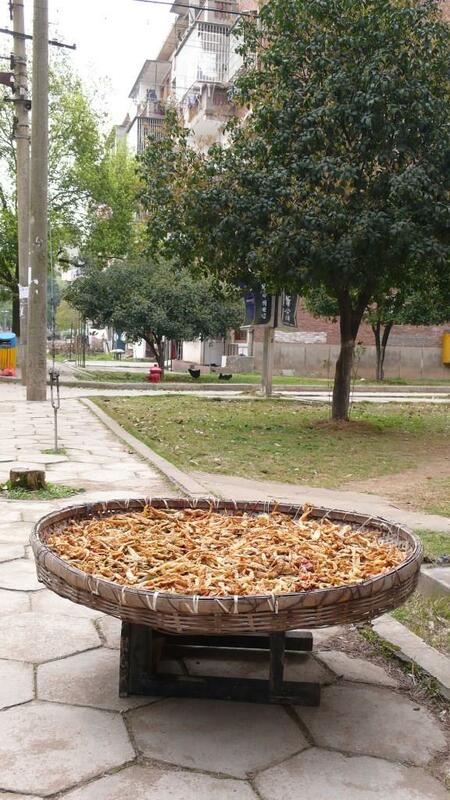 In Hunan, however, one also encounters Bai LaJiao, white chilli. … and the connoisseur of chilli wonders, of course, just what that is. The solution is relatively easy: it’s a sun-bleached chilli. Okay, the actual process is a bit more involved than that, but only a little – and that’s to remain ‘company’ secret. What’s more interesting for the average eater, anyways, is why and what-for chilli should be bleached like that. As so often in real chilli cuisine, it’s all about special characteristics for particular dishes. In this case, that is the white color and the flavor that tends towards sour notes, which are wanted because they harmonize well with the fish with which BaiLaJiao is used. … or carp or similar bigger fish which is cut into smaller pieces before frying it. 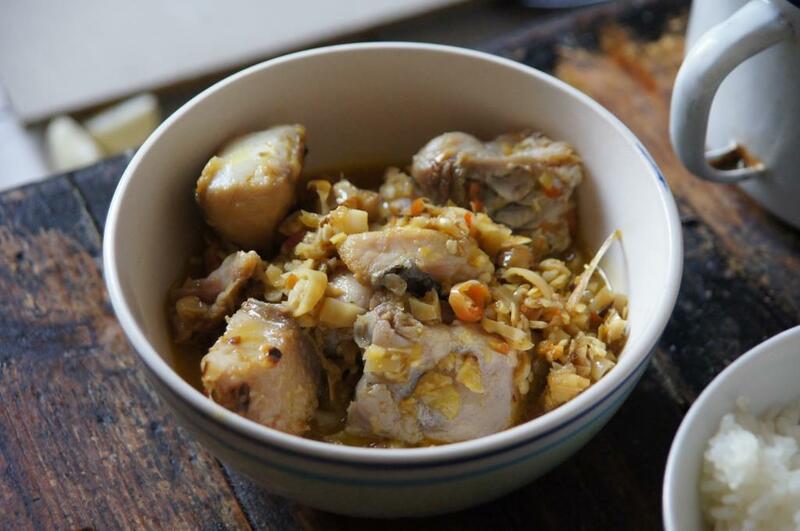 This summer in Hunan, we prepared some BaiLaJiao ourselves, by the way. Some from the longer peppers commonly found on the market here, some from the truly local variety that the parents have been growing.